Accelerate and Transform your RPA Journey. 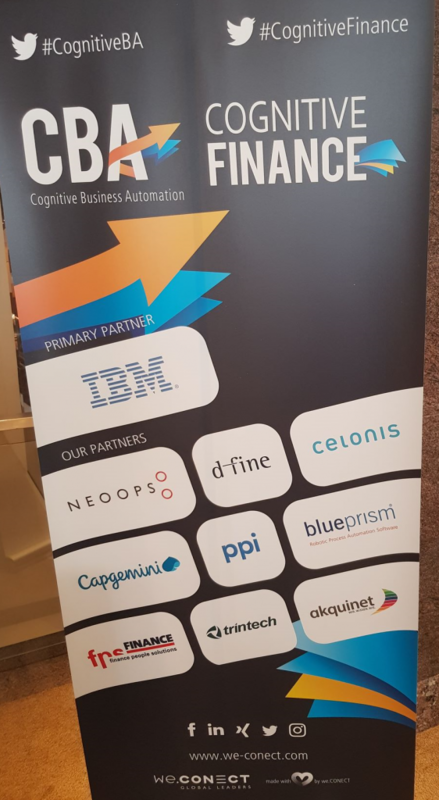 Cognitive Business Automation Conference in Frankfurt, Germany. 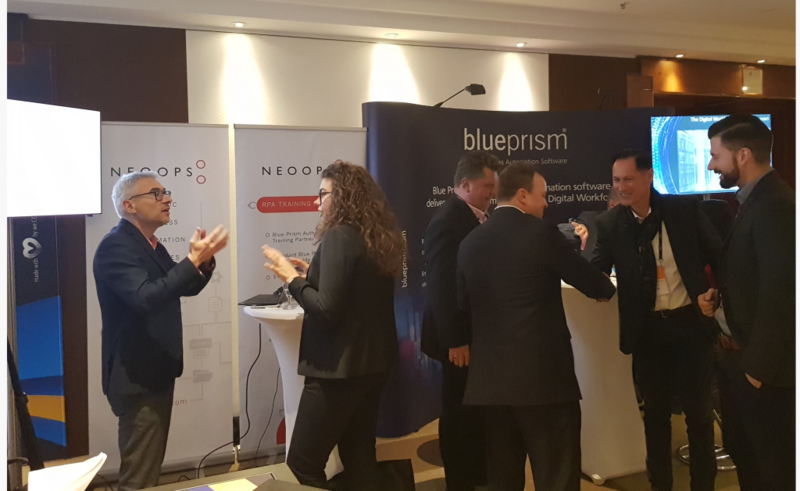 Jointly with Blue Prism Germany, NEOOPS delivered a session at the Cognitive Business Automation (CBA) conference in Frankfurt, Germany on 27 & 28 September. 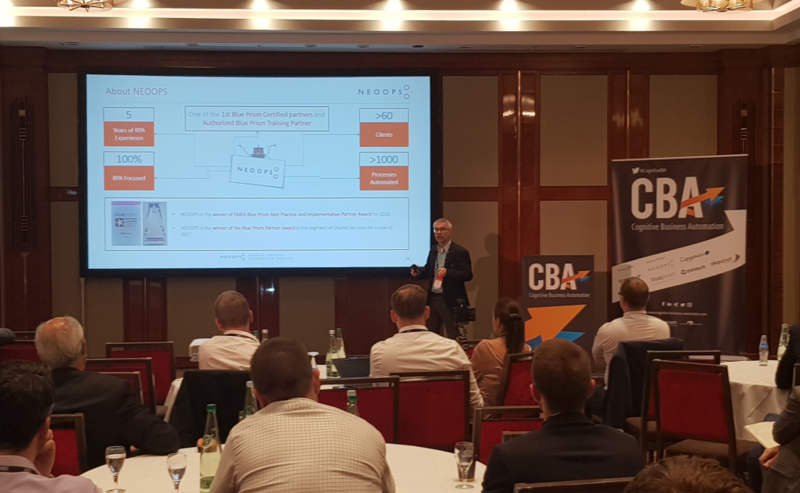 The objective of the session was to look into increasing utilisation of existing robotics workforce by utilizing entire RPA ecosystem based on Blue Prism platform and integration of other “smart” tools and technologies what can help RPA clients to scale up and develop. 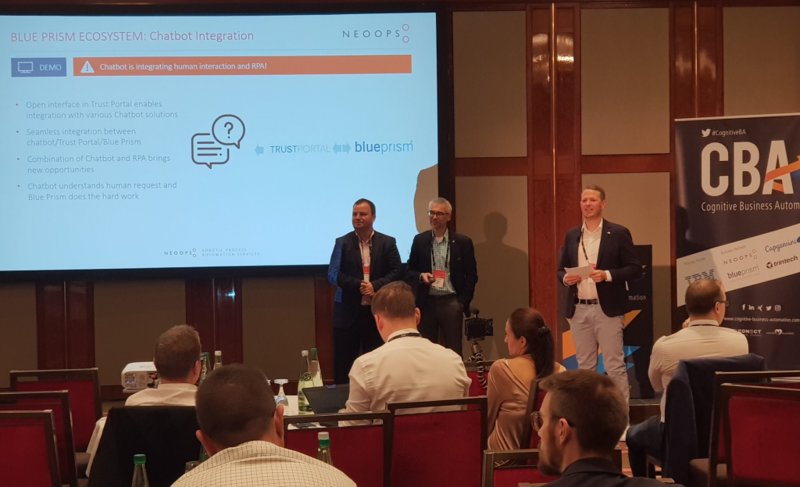 Michael Schechter, Partner Solutions Consultant at Blue Prism Germany and Zdenek Kabatek, Head of Professional Services at NEOOPS shared the latest insights about Blue Prism vision and ecosystem and demonstrated several tools and technologies from NEOOPS partners: Rossum, Intelligent Studios, Datlowe and TrustPortal that could help to increase the efficiency of robots. NEOOPS has a good number of German clients already and continues to strengthen its presence on German market.